Making or missing short putts is the single biggest difference on your scorecard at the end of the round. If you make all of your short putts, you are likely to be satisfied with your score – even if your ball striking isn’t quite up to par. However, if you struggle from short range and miss several putts during the round, there is a good chance you will walk away shaking your head. 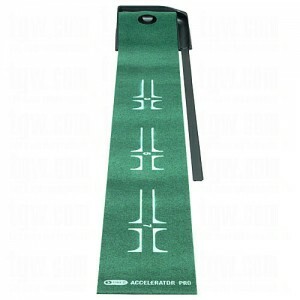 Instead of just lining up your putts and hoping for the best, prepare for the round with the SKLZ Accelerator Pro Putting Mat w/ Ball Return and make sure your short putting stroke is ready for the pressure that the course can put on you. If you are going to get frequent practice on your putting stroke, you probably are going to need to do it somewhere around the house. Most people just don’t have the time in their schedule to get to the golf course often enough to get consistent putting practice and really improve. With this mat, you can bring quality practice into the house to fine-tune your stroke without having to drive to the course or brave the elements. Most short putts don’t require much in the way of a read – you can usually play them straight and hole out with a good stroke. With that in mind, the main factor between success and failure on a short putt is the stroke itself. If you give the ball a clean, square stroke from three feet out, chances are good that it will fall into the cup. This mat is perfect for rehearsing just that kind of putting stroke. There are parallel lines on the mat to help with alignment, and the actual-size hole cut into the mat will give you feedback if you are hitting solid putts or not. The mat is marked at 3′, 5′, and 7′ so you can work on strokes of various lengths. It is not only important to fine tune your technique when putting, but also to make sure that technique doesn’t stray as the putts get longer. Many golfers struggle with losing their fundamentals when they start to make longer putting strokes, so backing up to seven feet and trying to hole out is a good test of how your putting stroke is holding up. As a general rule, the more practice putts you can hit, the better. As long as you are paying attention to your technique and making sure you don’t get sloppy, fitting in as many reps as possible is a great idea. When the time comes to face a pressure packed three foot putt out on the golf course, you will be able to rely on that practice time to draw confidence from and step up to make a good stroke. With a ball return as part of the SKLZ Accelerator Putting Pro Mat, you will be able to fit in as many repetitions as you wish and get your putting stroke in good condition for your next trip out on the links. A belt might not be the most exciting piece of golf equipment to add to your arsenal, but it can add style and comfort to your golf wardrobe without breaking the bank. 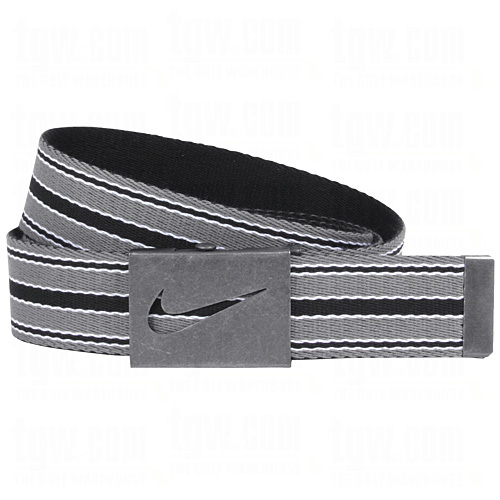 In the case of the NIKE Men’s Reversible Stripe Web Belt, you can actually add two accessories to your golf wardrobe with just one item. The belt has a stripe design on one side, and a solid color on the other, so you can coordinate with different outfits simply by switching the belt around. Also, it can be purchased in several different colors depending on your personal style and taste. A belt might not be required clothing when you hit the links, but it can make for a more comfortable experience. There is a lot of bending and twisting on the golf course, much of which can pull your shirt un-tucked or cause your pants/shorts to shift. When you make sure to put on a belt as part of your golf attire, you will likely find that you are more comfortable throughout the day – and you will look a little sharper in the process. Not only can you save money by only buying one belt that accomplishes two looks, but it is more convenient than crowding up a dresser drawer with numerous different colored belts. This NIKE Men’s Reversible Stripe Web model is woven and looks sharp while keeping a casual feel. The brushed metal buckle has the swoosh cut out for a subtle styling of the NIKE brand. There is also a gunmetal tip on the belt to prevent fraying and help in feeding the belt through the loops on your shorts or pants. Have you ever had a belt that just didn’t seem to have a hole in the right spot? It was either too tight on one hole, or too loose on the next one? That won’t be a problem with this belt. The belt buckle can clasp onto the belt itself at any point along its length, so you can tighten it exactly how you want it each and every time. When comfort is your main consideration, that kind of clasp system is a great benefit over traditional belt holes. While not as elegant or fancy as a leather belt, the woven cloth style like this NIKE offering might be better for the outdoor elements that you will face on the golf course. You don’t have to worry about the belt getting a little wet like you would with a leather belt, yet you will style look stylish and be able to bring together you outfit by adding just the right touch of color to connect your shirt and pants. If you are in the market for a new golf belt to add to your wardrobe and up the style quotient that you bring to the course with you each round, take a look at the NIKE Men’s Reversible Stripe Web Belt. Sunglasses are something of a divisive issue among golfers. Some golfers won’t hit the links without them – even if it doesn’t seem likely that the sun will be making an appearance anytime soon. On the other side of the coin, some golfers swear that they can’t play the same while wearing glasses and will never pull them down from the top of their hat. However, when spending 4+ hours outdoors, hopefully in the sun, it is a good idea to have glasses at your disposal even if you choose to not actually hit your shots with them on. 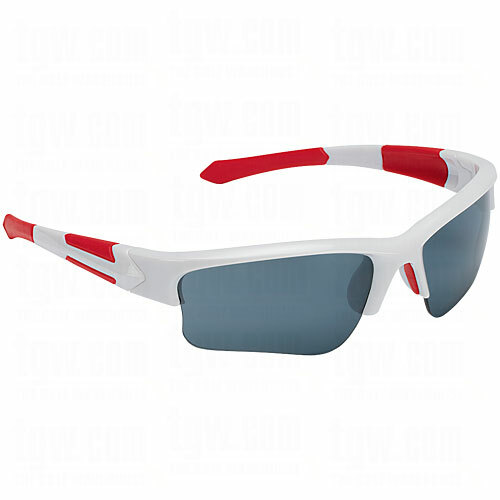 The Callaway Xtreme Golf Sunglasses are designed for use on the course and bring a little bit of style to your outfit at the same time. One of the big problems that causes some golfers to swear off sunglasses forever is bulky frames that interfere with the golfers vision as they address the ball and make a swing. With sunglasses that have frames that wrap all the way around the lenses, the bottom portion of the frame can get into your line of sight slightly while looking down at the ball. This is why it is important to get sunglasses like the Callaway Xtreme that are specifically designed for use on the course. These glasses are only rimmed on the top half of the frame, so there should be no issues with the frame getting into the field of vision. For players who like to keep the glasses on throughout the day, this design will be much appreciated. Some high-end, design sunglasses have nose pieces that are made from other materials than good old-fashioned rubber. While this is fine for casual glasses that are designed for appearance first, it doesn’t work as well on the golf course. Think about what you do when you are playing golf – there is a lot of bending over involved. Whether you are bent over a par putt, or reaching down to mark your ball on the green, you don’t want your glasses sliding off your face time and time again. With a rubber nose pad, you will have more gripping power on your side to help keep those glasses in place. Another difference between casual sunglasses and golf sunglasses is the wear and tear that you will be putting on the glasses when you use them on the course. They will probably get taken on and off a lot, have to deal with some warm or cold temperatures, and might get dropped a time or two. While no sunglasses are going to live to tell about a trip underneath the golf cart tire, the Callaway Xtreme Golf Sunglasses are more durable than other, non-golf models.